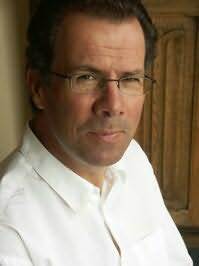 Jonathan Buckley was born in Birmingham, grew up in Dudley (birthplace of Duncan Edwards, hence a lifelong loyalty to Manchester United) and studied English Literature at Sussex University and King's College London. Having neglected to complete his PhD thesis on the Scottish poet/artist Ian Hamilton Finlay, he embarked on an extended period of post-postgraduate drifting, during which he worked - not in every case consecutively, and not always competently - as a bookshop manager, university tutor, decorator, builder, book reviewer, roofer, and maker of theatrical sets and props, before being commissioned to write the Rough Guide to Venice & the Veneto. Subsequently hired as one of the first members of the Rough Guides' editorial staff, he went on to become a director of the company, in addition to writing guidebooks on Tuscany & Umbria and Florence, and contributing to the Rough Guides to classical music and opera. His first novel, The Biography of Thomas Lang, was published by Fourth Estate in 1997. He lives in Brighton with his wife and son.